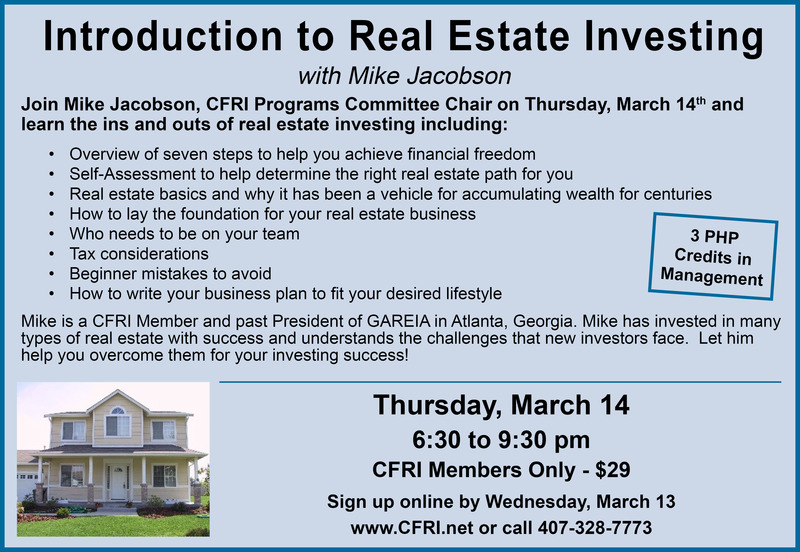 CFRI Members Only Class - Join Mike Jacobson, CFRI Programs Director on Thursday, March 14th and learn the ins and outs of real estate investing. Mike is a CFRI Member and past President of GAREIA in Atlanta, Georgia. Mike has invested in many types of real estate with success and understands the challenges that new investors face. Let him help you overcome them for your investing success!